One of the great things about cinema is the ability to create terrifying creatures sprung solely from the recesses of someone's imagination. We love to be scared, but while there are a number of frightening human characters, for example Hannibal Lecter or Anton Chigurh, there is something that bit more frightening about a non-human creature. Whether adapting a book for the screen, taking inspiration from history or simply indulging their own fears, many films satisfy our passion for thrills by bringing us something a bit different. Most of the eight scariest creatures in film don't appear in films that are exclusively devoted to horror. In some cases they inject a moment of tremulous fear into a film that may be dealing with something else entirely different. In others, they provide the crescendo in a film that has danger lurking in the background throughout. Whatever their function though, often the scariest creature in a film can be the most unforgettable. Here is my top eight. Arachnophobia is one of the most common phobias, and this giant spider is a horrible manifestation of that. The first time we see her she is creeping up behind Frodo, and we get an immediate understanding of the sheer size, which is almost instantly superseded when she picks him up to wrap him in sticky threads. This is all accompanied by a squelchy chewing noise which alone is enough to turn your stomach. When she is fighting Sam, there are legs and pincers everywhere. There may even be teeth. It is all he can do to defend himself against them, much less attack. 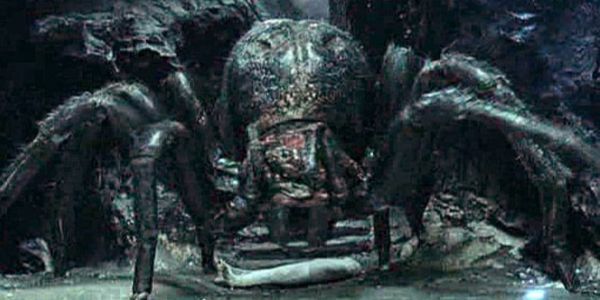 Shelob's pincer is the most fearsome part of her armoury. After she plunges it into Frodo, the effect is instant. Foam bubbles out of his lips, and he soon falls. 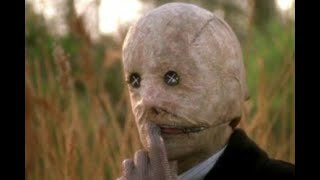 When Sam pulls away the threads from around his face, Frodo is deadly white and motionless, with little black bits speckling his face which I can only assume are flies. Unfortunately we cannot be sure that Shelob is dead. After her fight with Sam, she retracts herself into the rock, pulling herself along with more upsetting squelches. She may be taking herself off to die, but equally she may be beating a tactical retreat. We can never really know. I'll watch anything, so long as it has a juicy plot, a couple of twists and hopefully a few scares. My favourite films include The Fugitive, The Last Starfighter and The Secret In Their Eyes. Television wise, I'm a big fan of the Nordic Noir, Sherlock and Doctor Who. All the classics!